Counseling is a concept that has existed for a long time. We have sought through the ages to understand ourselves, offer counsel and develop our potential, become aware of opportunities and, in general, help ourselves in ways associated with formal guidance practice. Counseling is a process that psychologically empowers individuals to seize back control of their lives, whilst working through issues and problems that have caused them to lose self-esteem, as well as confidence in their own abilities. 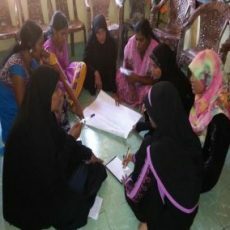 Counseling increases self-awareness and a sense of well-being, and is often the first step individuals take on their path to discovering a more positive lifeDiploma in Counseling programme by Institute of Galaxy Sri Lanka has been designed to respond to some needs and social concerns prevalent in Sri Lanka. 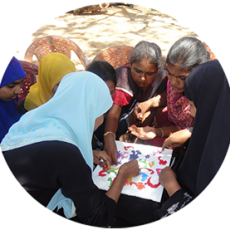 ASNN has been engaged in serving the persons with disability in the selected schools in Ampara district for the last seven years. Upon the enrollment of the persons with disability to the schools ASNN will initiate the service jointly with the school management. ASNN identifies the persons with disability in government schools and categorize them according to their age. The selected students are imparted class room education. The teachers trained by ASNN are being employed to teach these students. According to the information provided by ASNN the service is being implemented in 13 village schools.